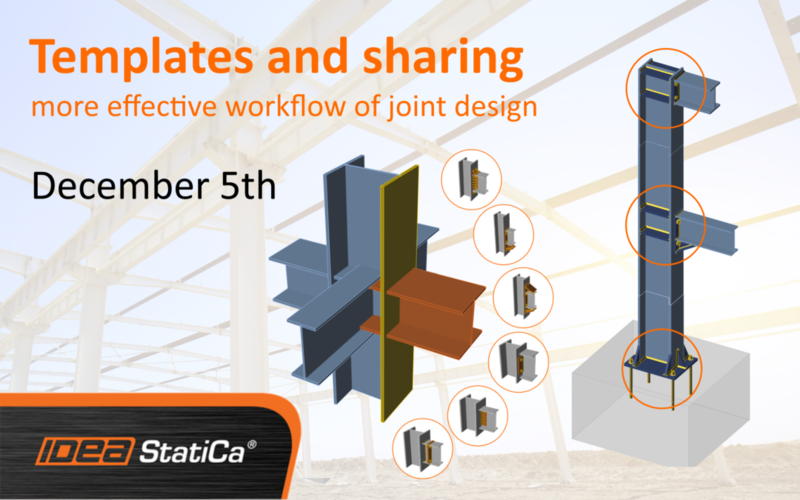 Join our new IDEA StatiCa Connection webinar, where we are going to talk about templates, material library, and sharing of the user-defined data. The possibilities of speeding up the joint design by using the templates will be discussed, and we are going to show you how complex joints can be designed by simple parametric templates. In the webinar, you will also see how to share user defined materials. On Wednesday, December 5th, we run two same sessions so that you can choose the one that fits your day. : the first at 10:00 GMT (London time), followed by another one at 18:00 GMT (or 13:00 New York time).